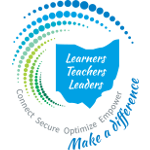 The Ohio Department of Higher Education encourages Ohio districts and schools to participate in the Ohio FAFSA Completion Initiative. This initiative allows access to student completion data to help encourage graduating seniors to complete their FAFSA application. Use this to check if a superintendent has agreed to FAFSA data access. Enter the 6-digit IRN including leading zeros. Download the text of the agreement for review. An electronic version of this agreement is submitted online.